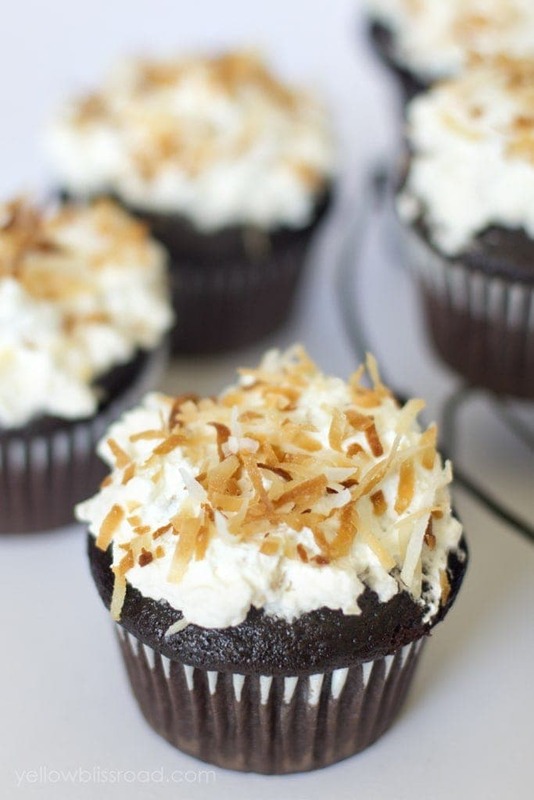 These chocolate cupcakes are the best I’ve ever tasted, and the toasted coconut whipped cream topping just takes it all to another level. My favorite obsession lately has been toasted coconut. I love the deep, rich flavor and the sweet crunch. 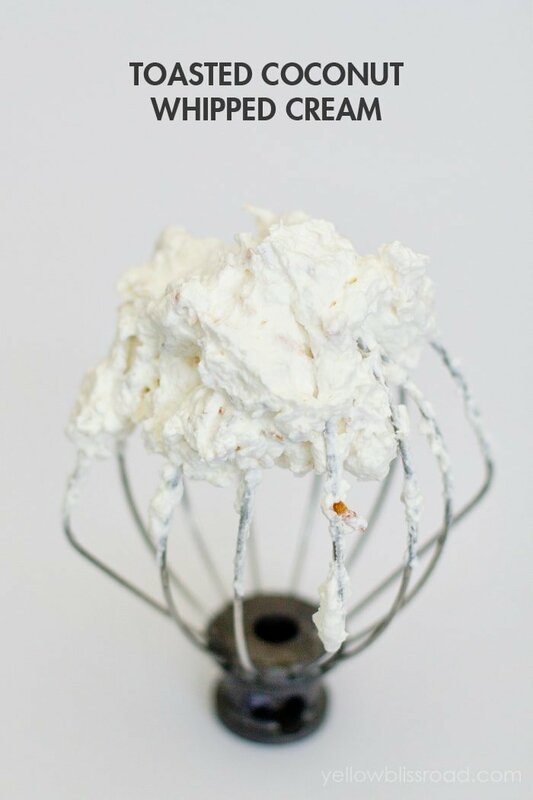 My second favorite obsession right now is homemade whipped cream. 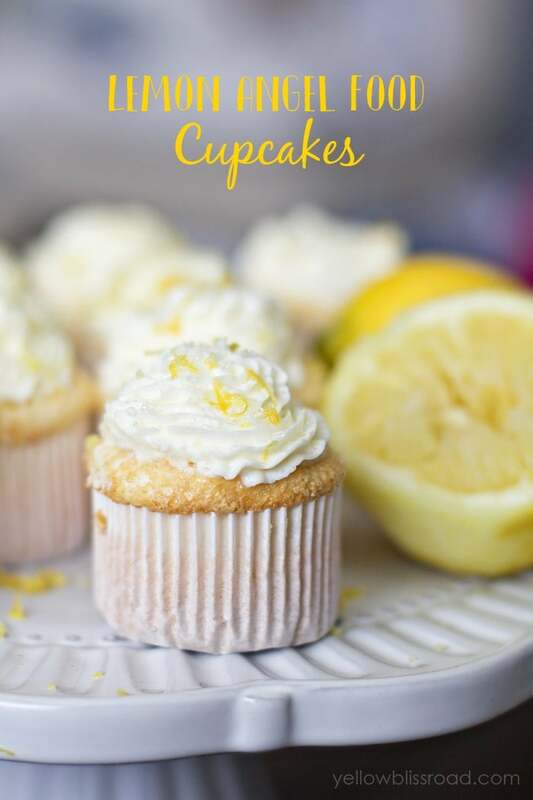 I mixed in a little lemon for my Lemon Angel Food Cupcakes. So I thought why not go ahead and mix those two obsessions together? Oh yeah. I could have eaten that stuff with a spoon. For the cupcakes, I used my favorite chocolate cupcake recipe and subbed the fat for whole fat coconut milk. The result was a very sublte coconut flavor, but combined with the toasted coconut whipped cream it was positively magical. Toasting the coconut is incredibly easy, however trust me on this one – do not walk away because it can burn very quickly. No that I’d know anything about that. Ahem. I decided not to pipe on the whipped cream frosting because I figured the coconut would probably clog it. 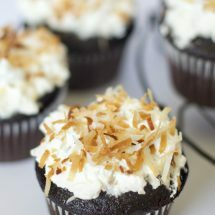 I love the rustic look of the glopped on frosting with tons of sweet toasted coconut on top. In a stand mixer on low, combine sugar, flour, cocoa powder, baking soda, baking powder and salt. Add eggs, vanilla, coconut milk, oil and warm water. Stir until well combined. Divide batter among cupcake liners, filling about 2/3. Should fill approx. 18 cups. Bake in preheated 350 degree oven for about 20 minutes or until a toothpick inserted in the center comes out clean. Dissolve gelatin in the water and let stand for 10 minutes. Toast coconut in the oven at 300 degrees for 2-3 minutes. Watch carefully as it can burn quickly. Set aside to cool. Combine heavy cream, dissolved gelatin and coconut milk on high speed until stiff peaks form. Stir in sugar to combine, and then 1/2 of the toasted and cooled coconut. 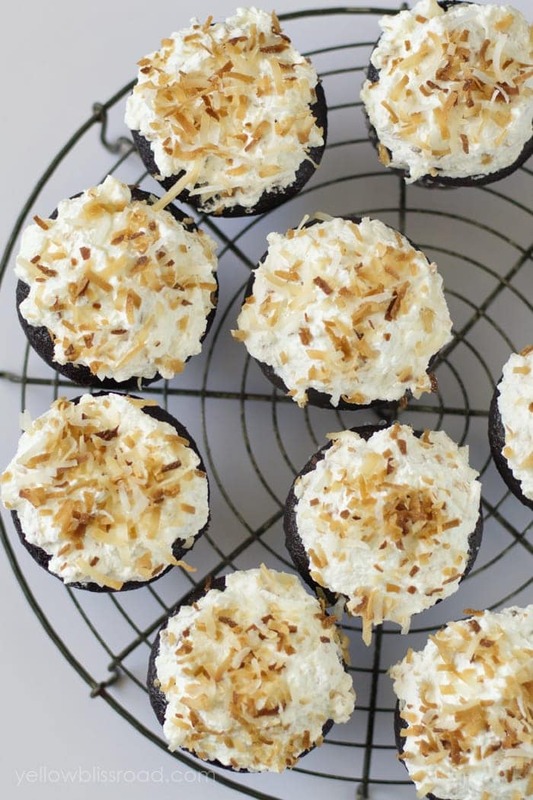 Frost cooled cupcakes and sprinkle with additional toasted coconut. hi! all i have just now is light coconut milk. I can get the regular stuff, but do you suppose the light will work? Then this is the recipe for which I will purchase cupcake pans! Could I turn this into a loaf cake? No I don’t think that would work. (Gluten free and no one knew!) but I have a problem with the whipped topping. I tried to dissolve the gelatin and set for 10 before adding (epic fail) so I added the packet directly to it and it worked. Other thing…the recipe says add 1/2 cup toasted coconut to the topping and the other for garnish. The ingredients list called for 1/4 cup. Thanks!!! So sorry for the confusion, it should be 1 cup of toasted coconut. I hope they still turned out for you! The frosting was mushy but who cares! All I did was supplement Bob’s Red Mill 1 for 1 GF baking flour and they are truly the most GLORIOUS thing I’ve ate since having to go GF 3 years ago! Now I know for next time ? more coconut. Thank you!!!! Hi! This recipe looks great and my husband loves anything chocolate and coconut so it would be perfect for him. I just wanted to know what brand of coconut milk you used, or even some familiar brands that one might find at Key Food Supermarket. 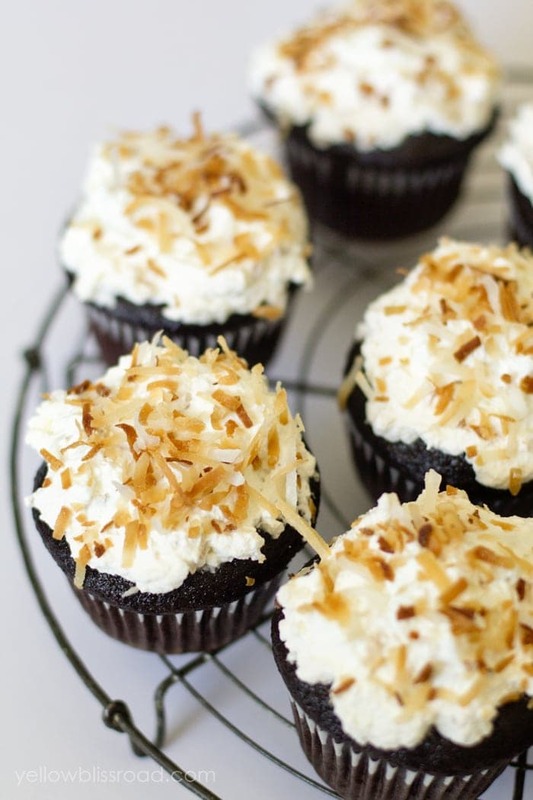 Chocolate, whipped cream, and coconut? 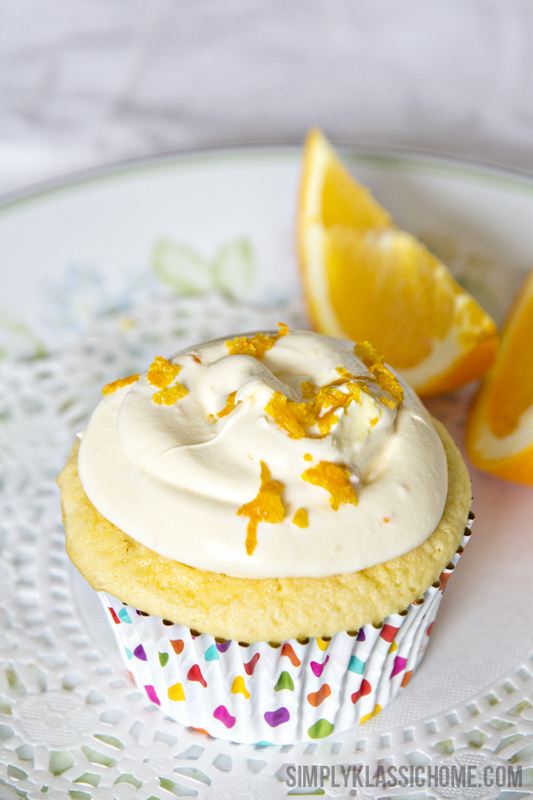 You hit the jackpot with these cupcakes. Those are some of my faves! Sounds like the perfect cupcake! Love all the coconut and chocolate together! I think every food blogger goes through a phase of loving toasted coconut, it’s just so good!! I would gobble one of these up! Loving all the coconut! 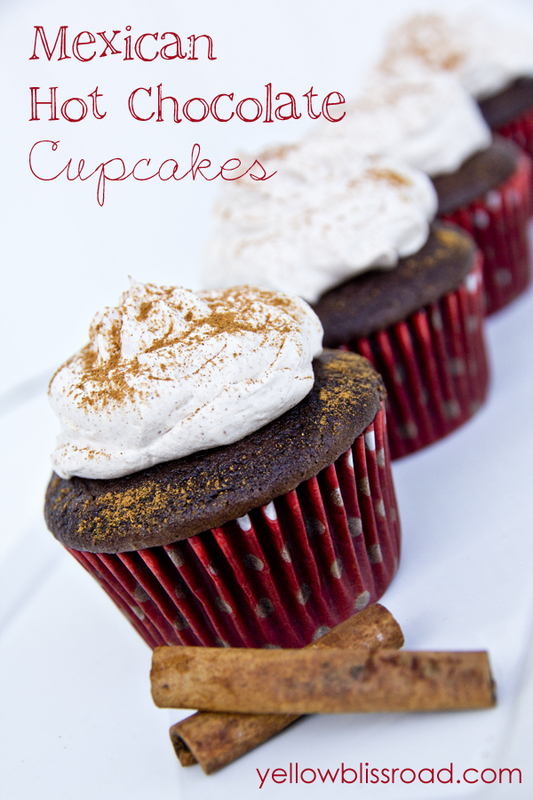 These look so pretty, and I really can’t wait to try the whipped cream frosting! Definitely lick-the-spoon worthy!